Tuesday, October 15, 1912: Ditto. Another slow day a hundred years ago. . . . This Fall, I’ve enjoyed making old-time apple recipes. Here’s another one that I really like. Preheat oven to 425 degrees F. Line 9-inch pie pan with the pastry. Put the sugar, flour, and cinnamon into a medium bowl; stir together. Peel, core, and quarter the apples. Put the quartered apples into the bowl with the sugar mixture; stir gently to coat apples. 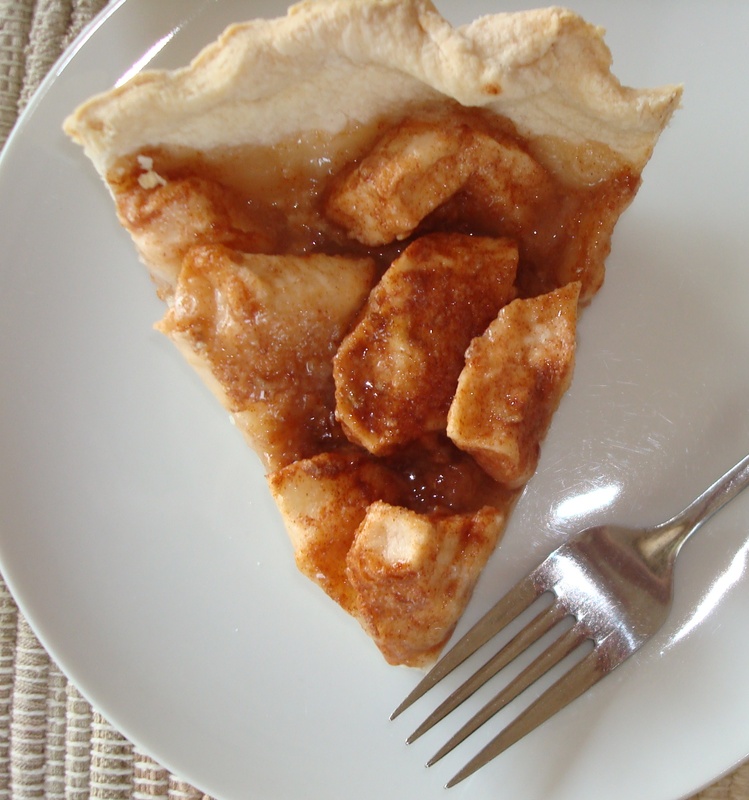 Arrange the apples in the pie pan by placing the apples closely together on their sides. Small pieces of apples can be used to fill any gaps between the apple quarters. Add the milk to the pie by pouring it between any two of the apples. Cook the pie at 425 for 10 minutes. Then reduce the heat to 350. Cook approximately 25 additional minutes or until the apples are tender when poked with a fork. *Other apple varieties that keep their shape when cooked can be substituted for the Macintosh apples. In case you have lots of apples like I do, here are links to some previously posted apple recipes. Posted on October 15, 2012 August 30, 2015 by SherylPosted in Food, recipesTagged apple, pie. Too late for dessert, but I am tempted. Looks really good. I don’t think we can have too many apple recipes. It’s that time of year. Sounds good – one crust would mean fewer calories, too!